It's been another memorable year across the Horsham district with everything from plant-potted torsos invading a village to a new Lidl store finally being announced. Here are some of the standout stories over the past year. February was also the time controversial fortnightly bin collections were introduced in Horsham. 'The month also saw another fire at the Horsham bowling alley, the county council take action on potholes and the postponement of the ever-popular pancake race - which did return at Easter. A warning was put out in March over fears Horsham Park pond had been contaminated by a diesel spillage at a near-by railway goods yard. 'The month also saw Southwater Parish Council implement at 25 per cent tax hike, an alleged machete-wielding robber target the Co-op store in Cowfold and a runaway horse on the A24. April saw the return of the Horsham's famous Piazza Italia festival. 'Despite the mixed weather tens-of-thousands of people descended on the town to enjoy fast cars, delicious food and fantastic live entertainment in what was one of the busiest weekends of the year in Horsham. A dramatic incident later in April saw Barclays Bank ram raided in Henfield. Tens-of-thousands-of-pounds was stolen and the bank never re-opened following the incident. 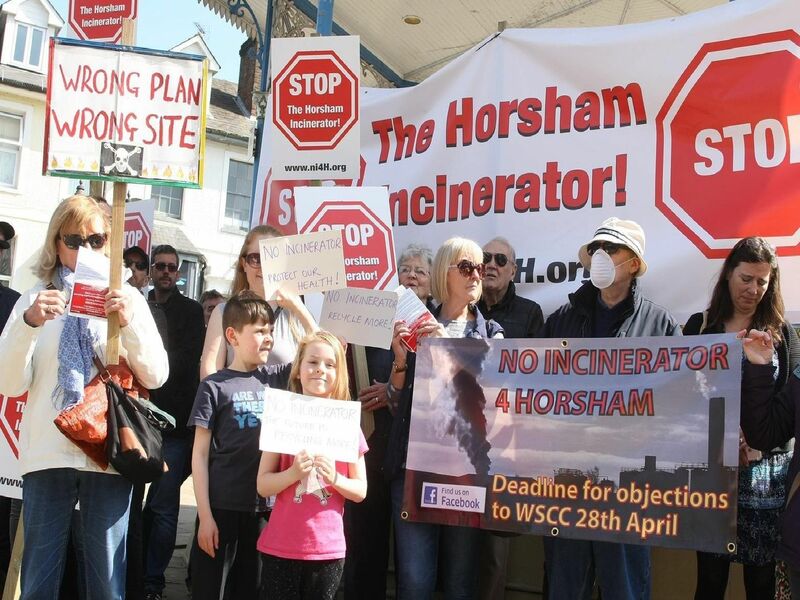 'April also saw the region get hit by its first earthquake, protests in the town centre against plans to build an incinerator and Horsham comedian Robert White burst onto our TV screens on Britain's Got Talent.